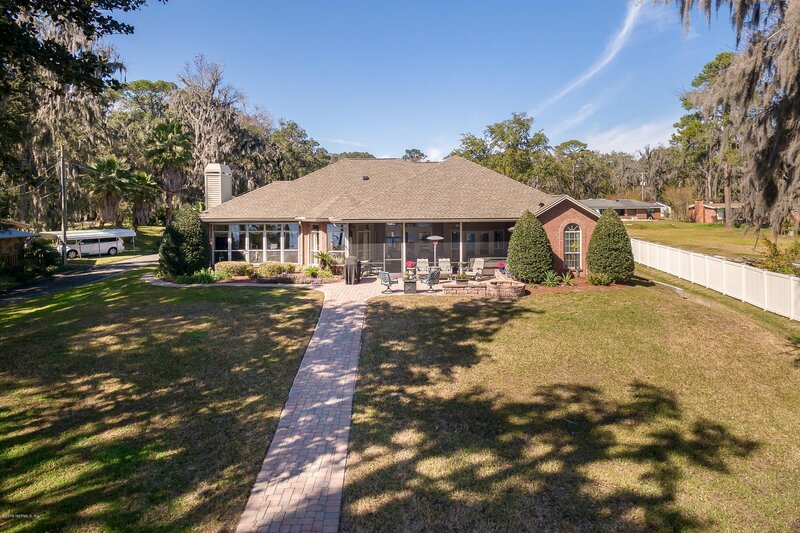 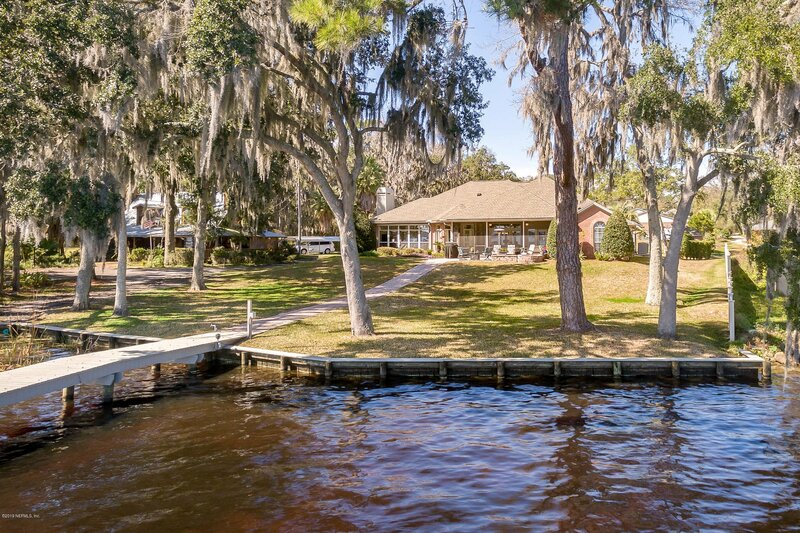 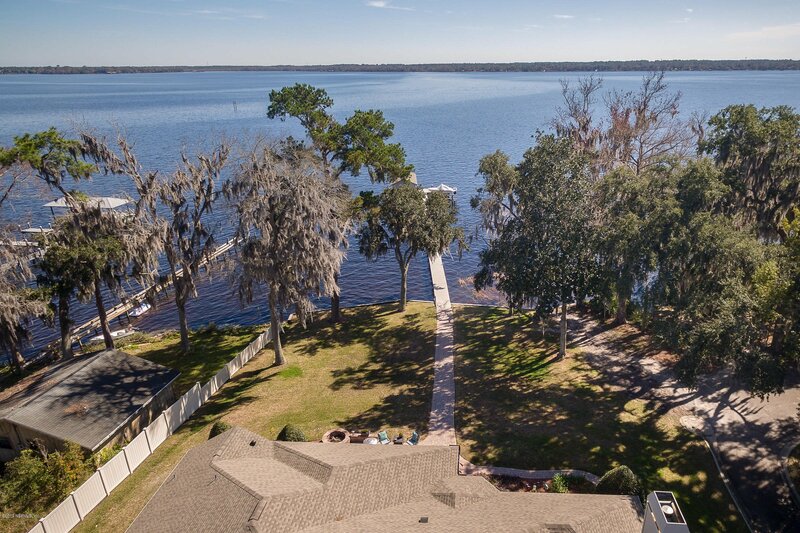 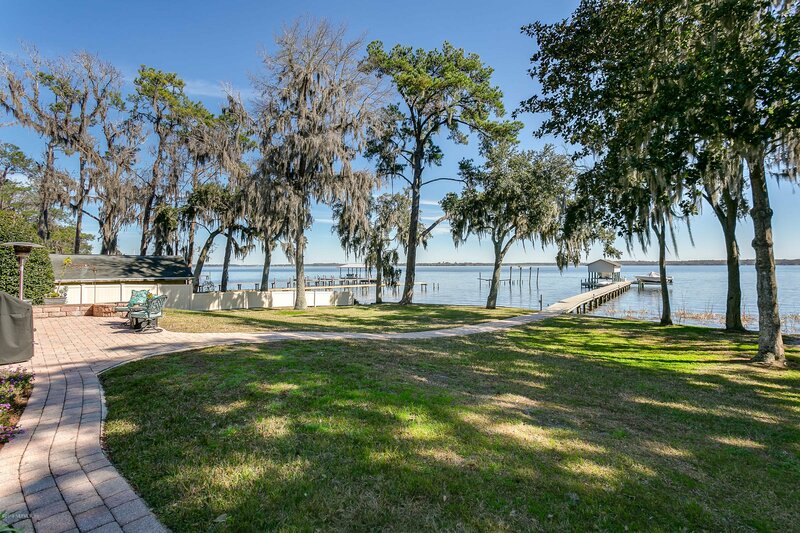 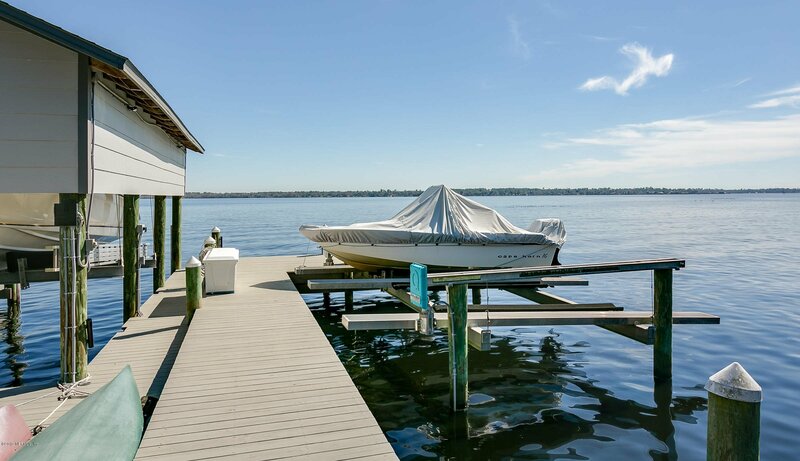 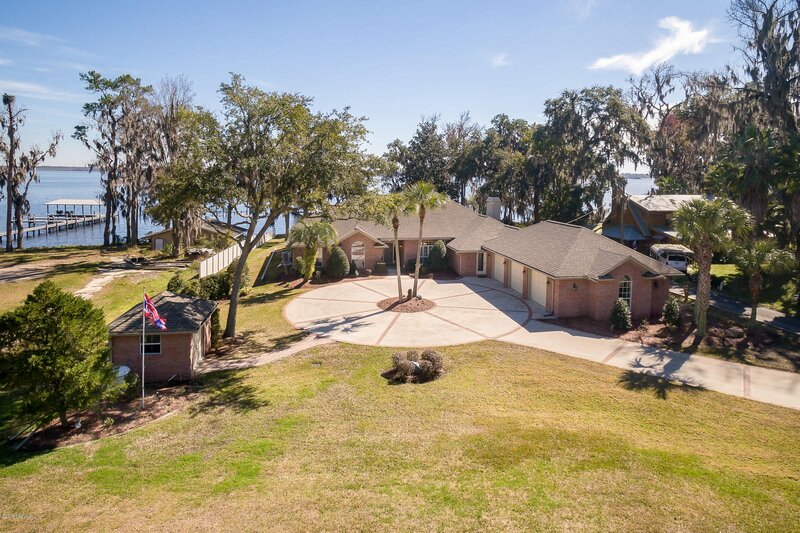 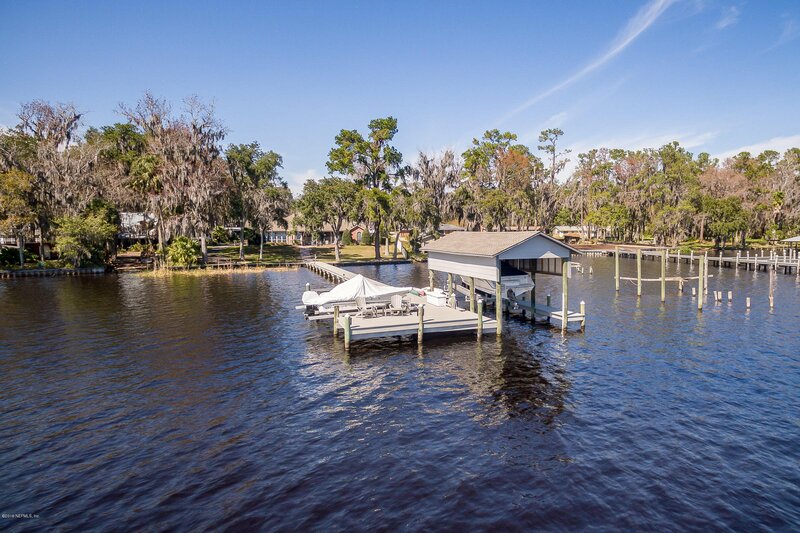 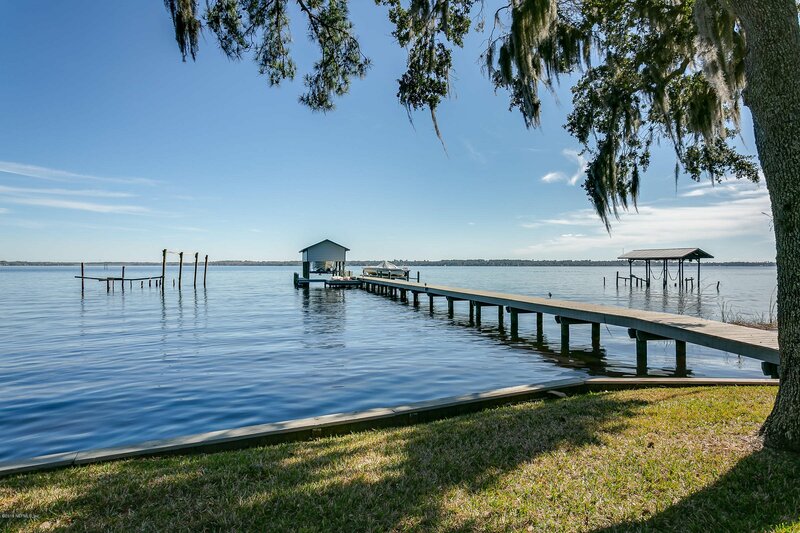 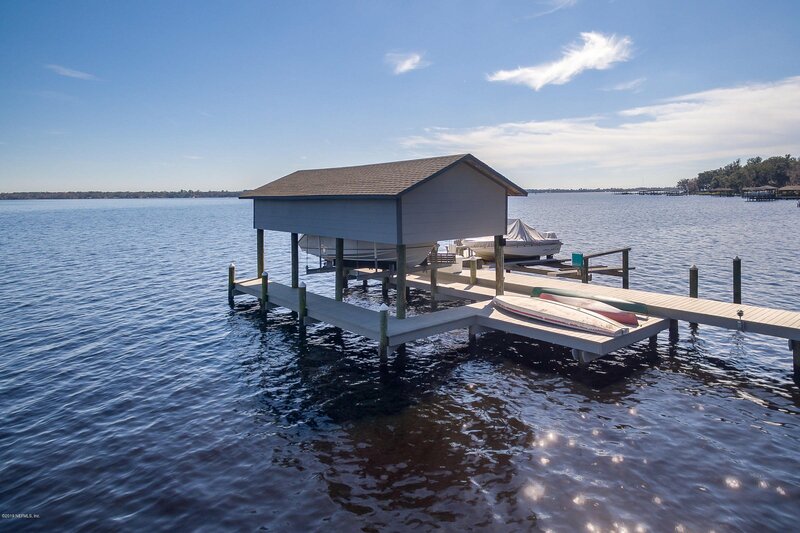 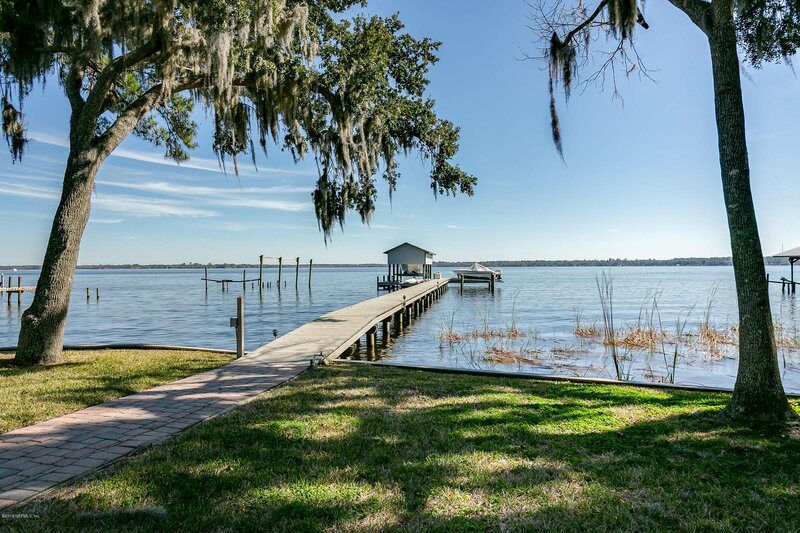 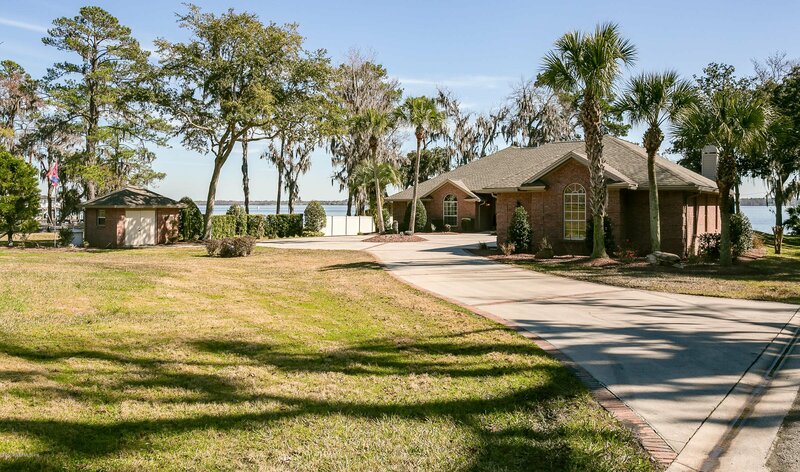 Outstanding waterfront opportunity in the heart of Old Orange Park. 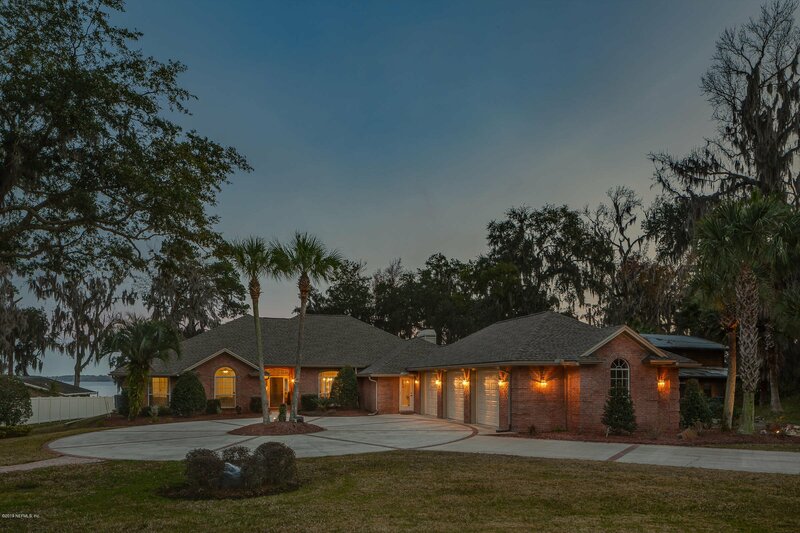 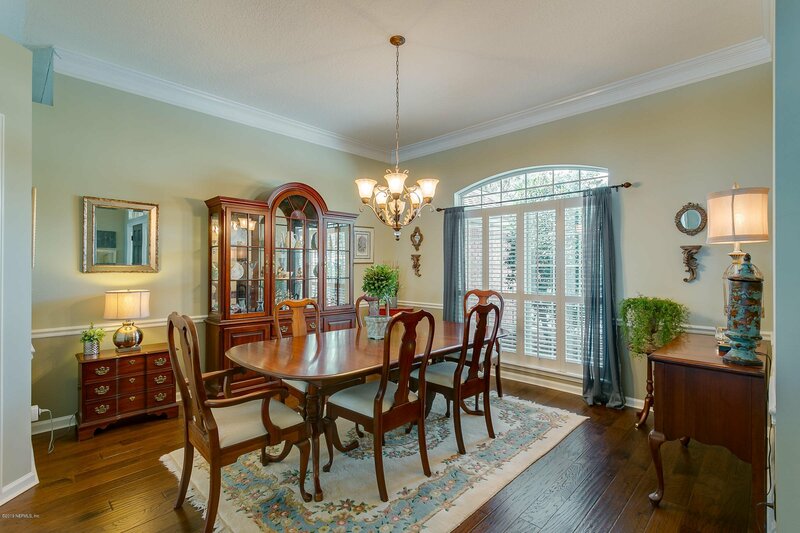 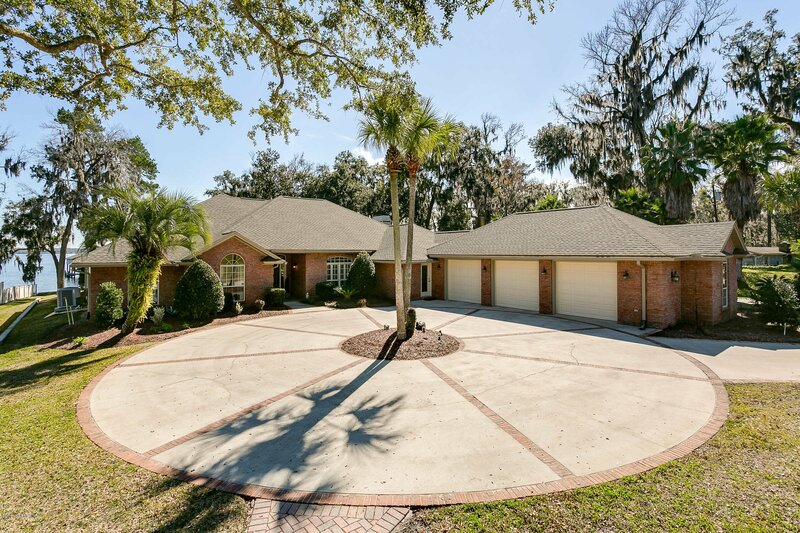 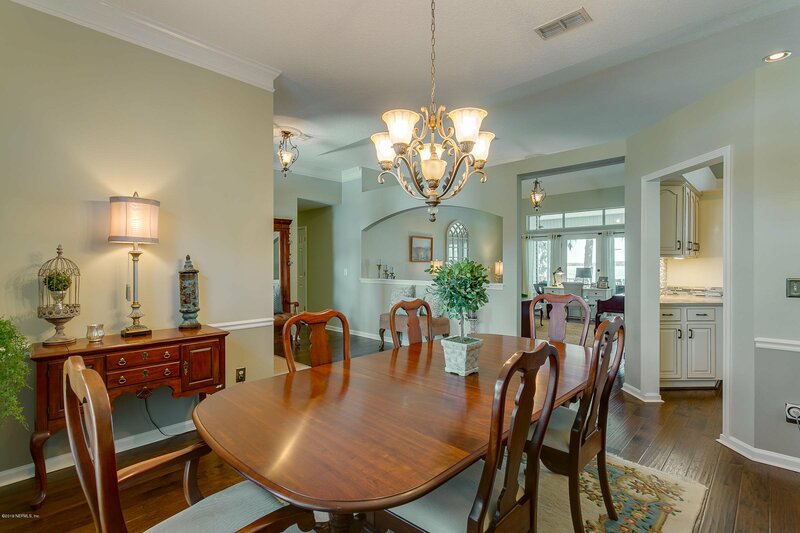 This stunning, custom built brick home has been beautifully maintained & renovated. 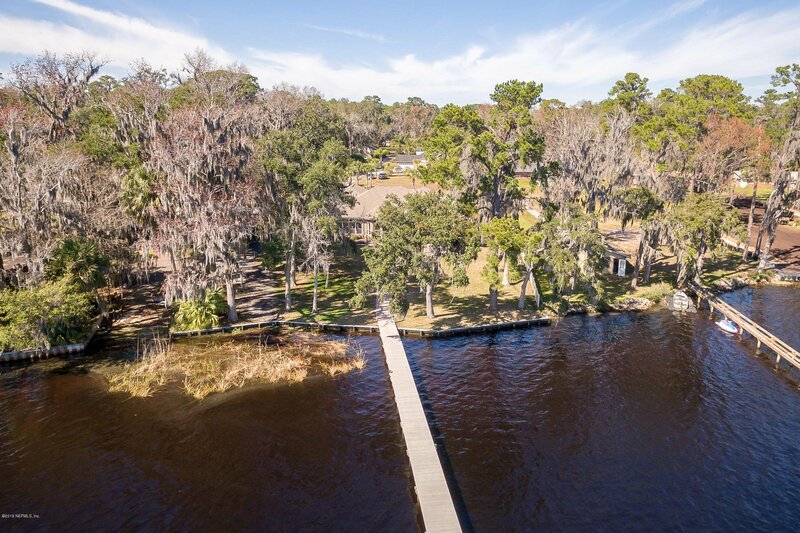 With 2 parcels conveying together (the cleared lot directly in front of the home), the buyer will enjoy over an acre of their very own private lake front oasis. 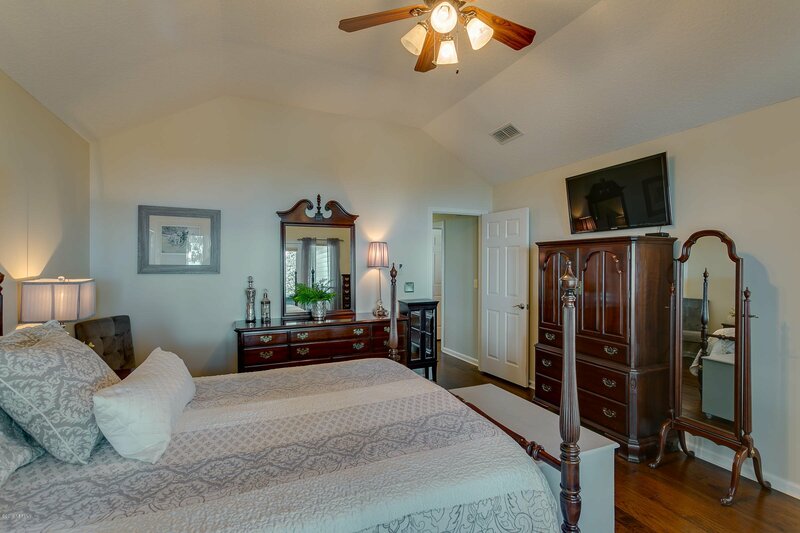 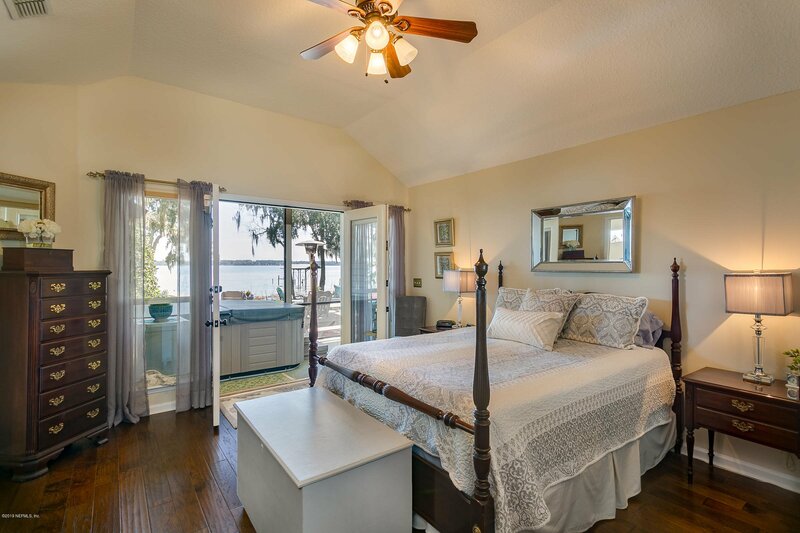 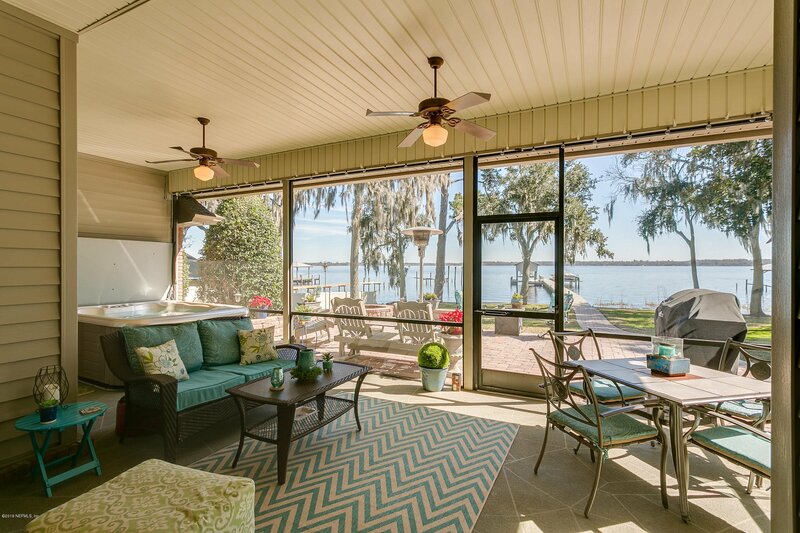 You'll fall in love w/ the open & functional floorplan with views of Doctors Lake from nearly every room. 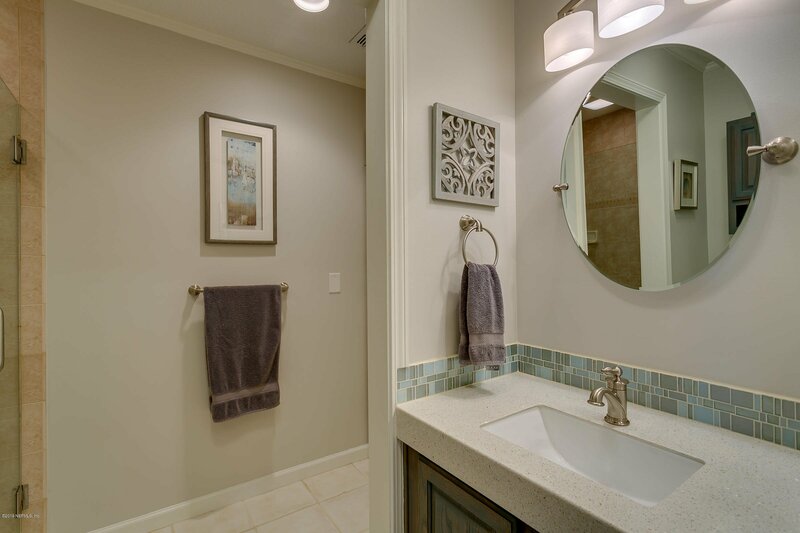 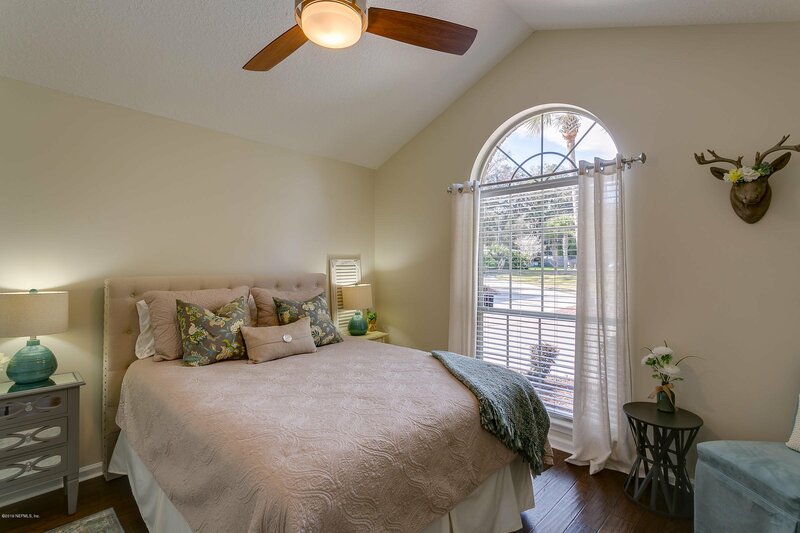 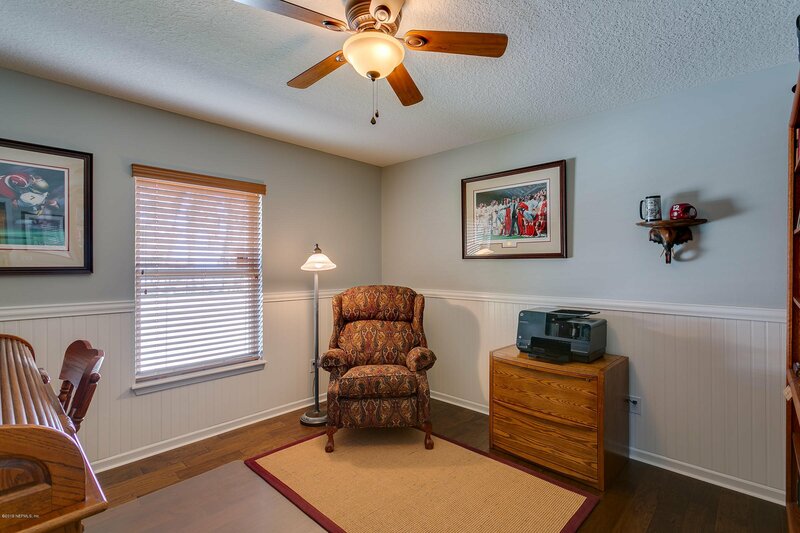 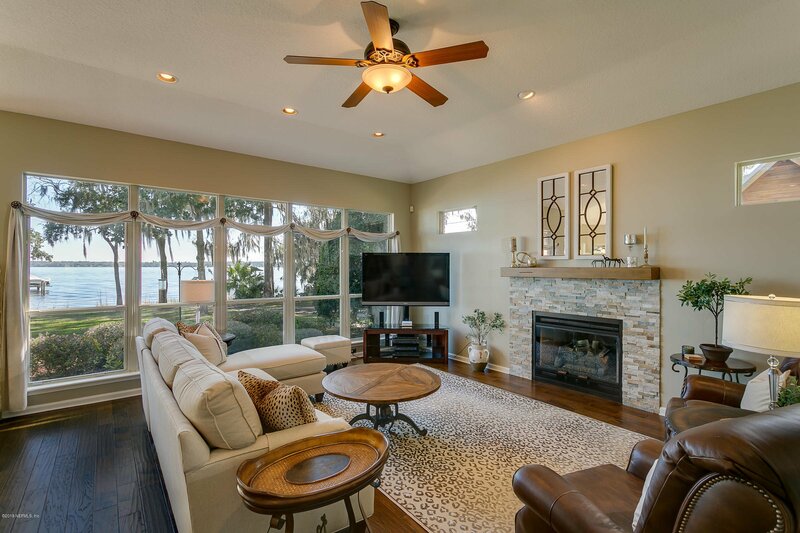 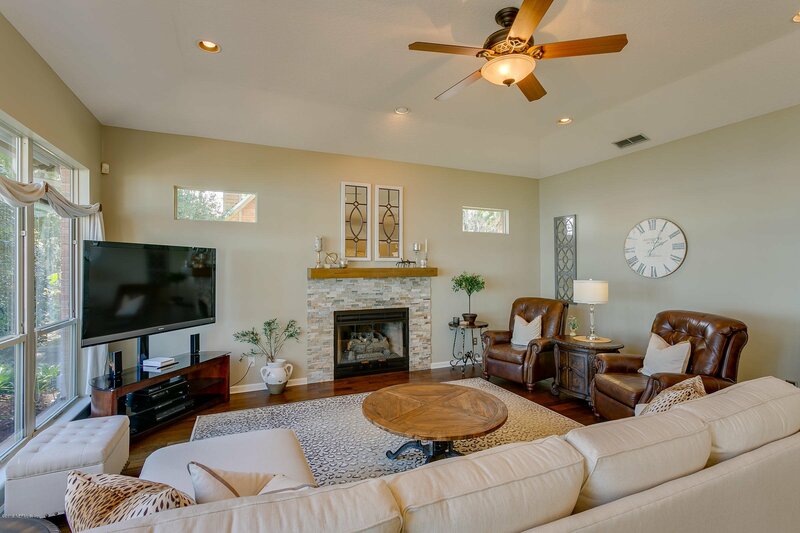 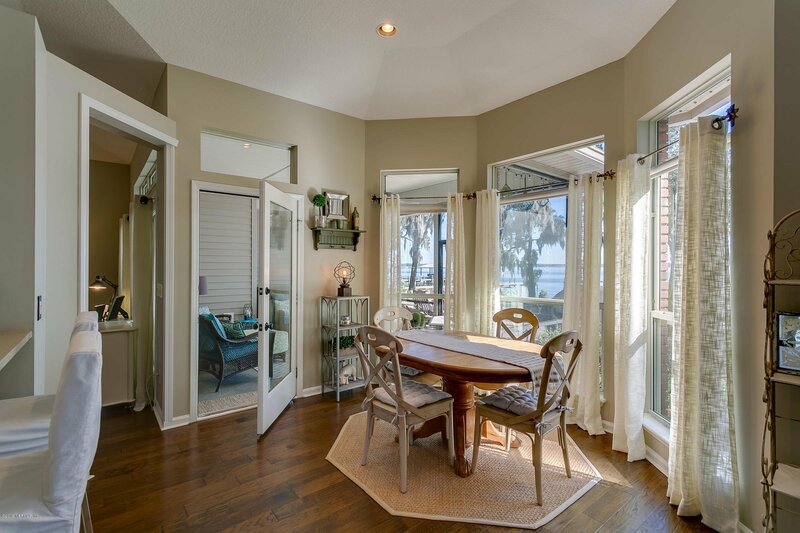 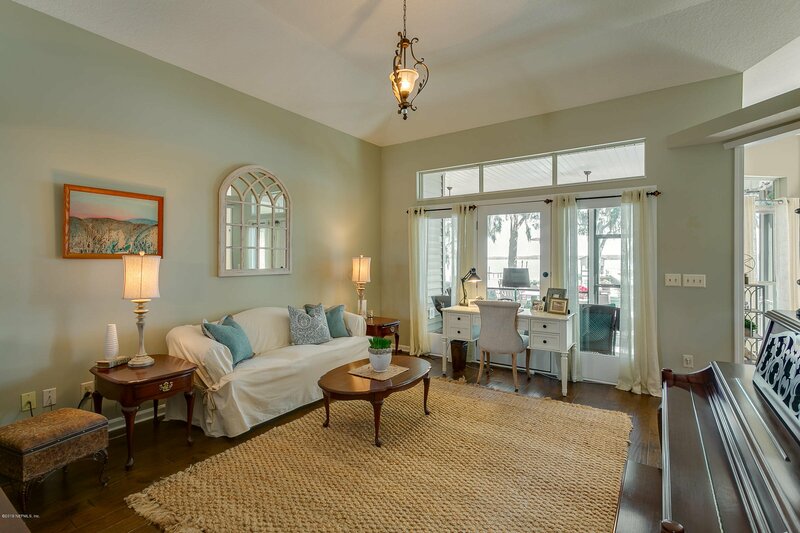 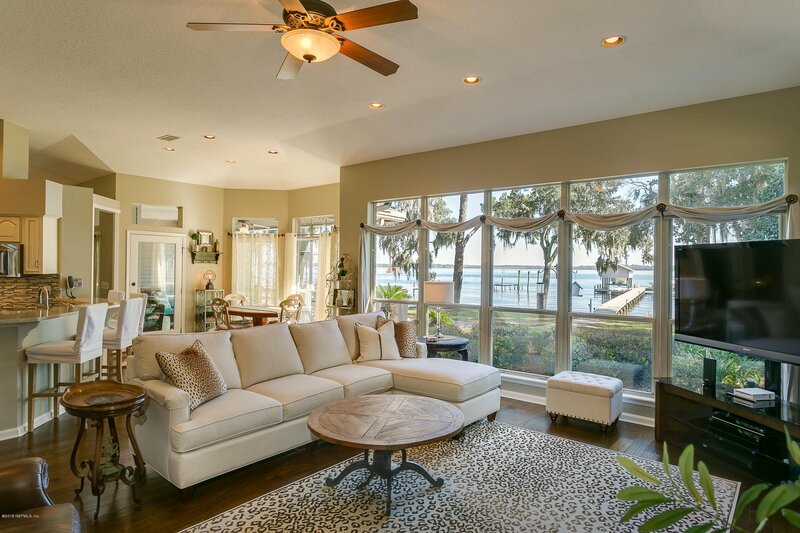 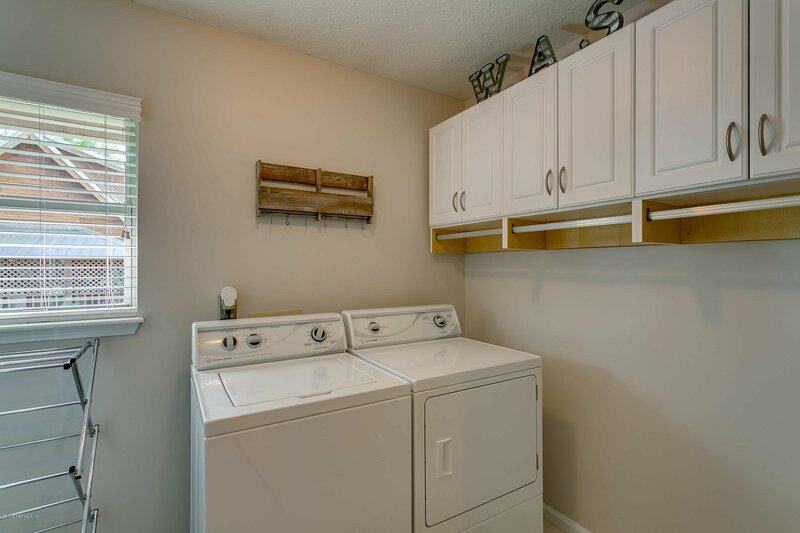 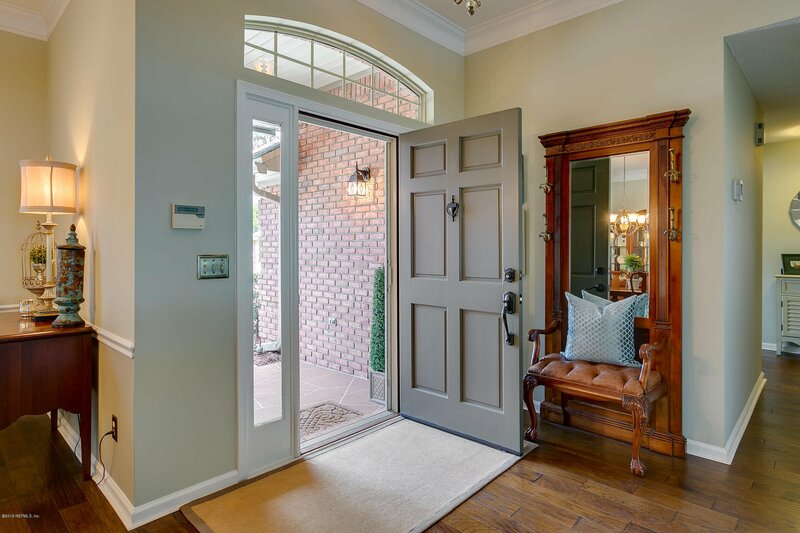 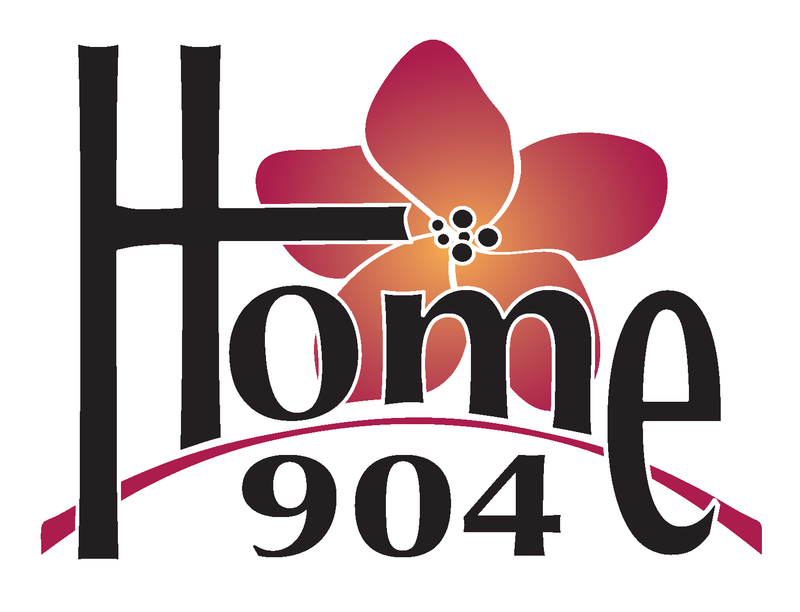 Warm hardwood floors & neutral interior welcome you inside. 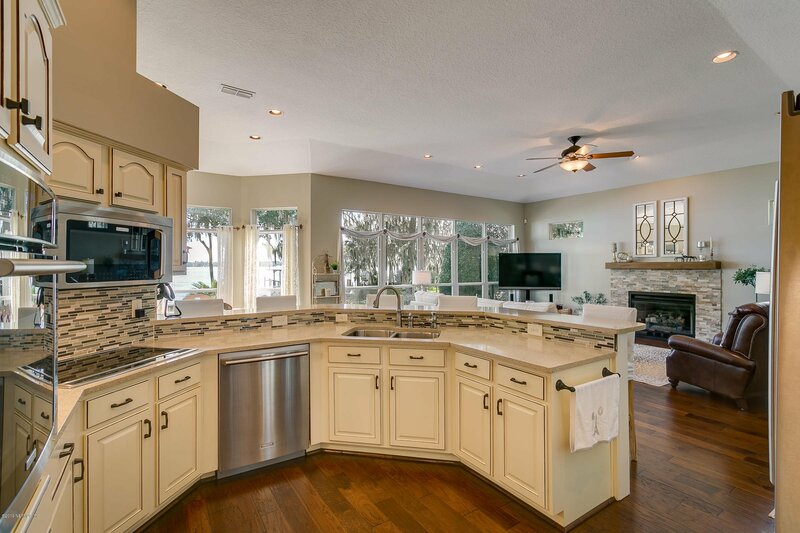 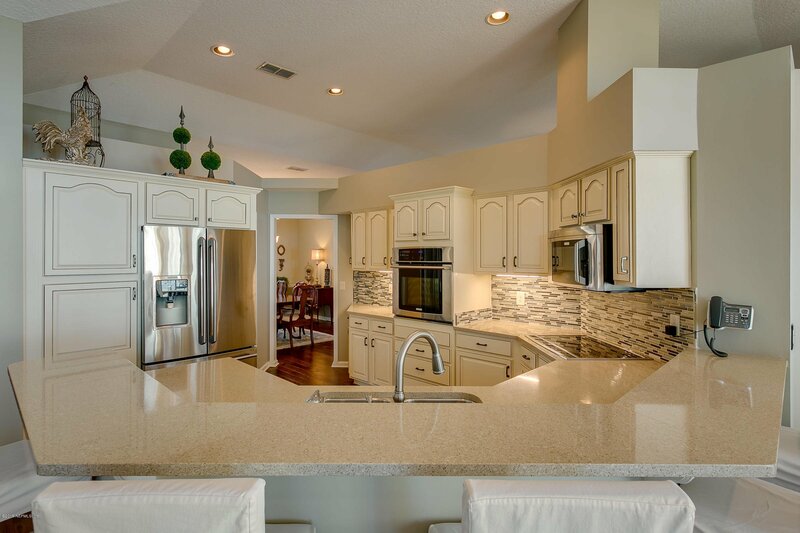 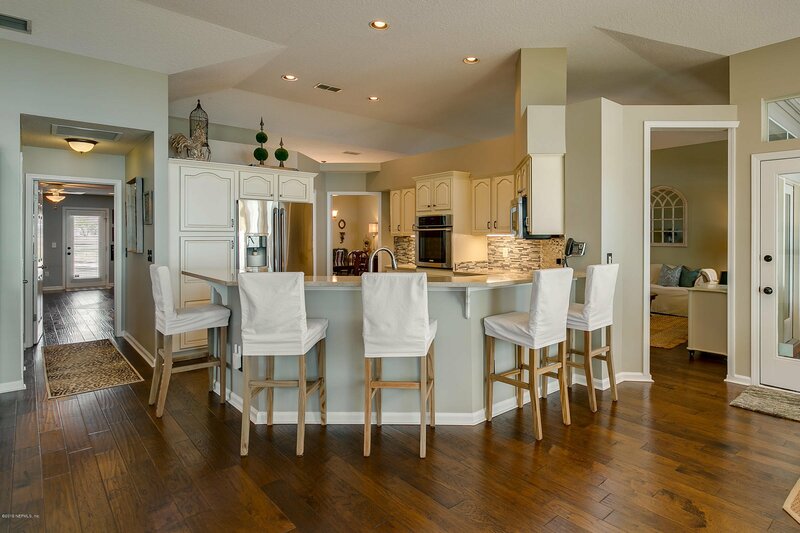 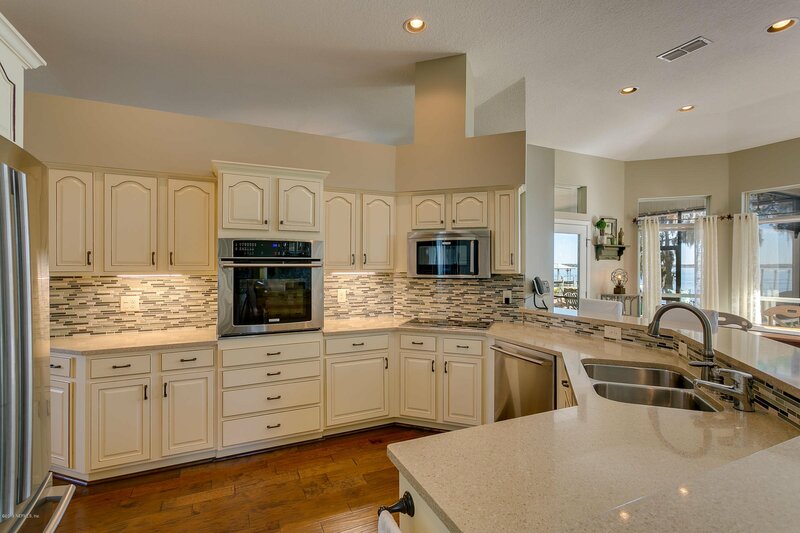 The chef's kitchen is open the family room, the perfect area for hosting family & friends. 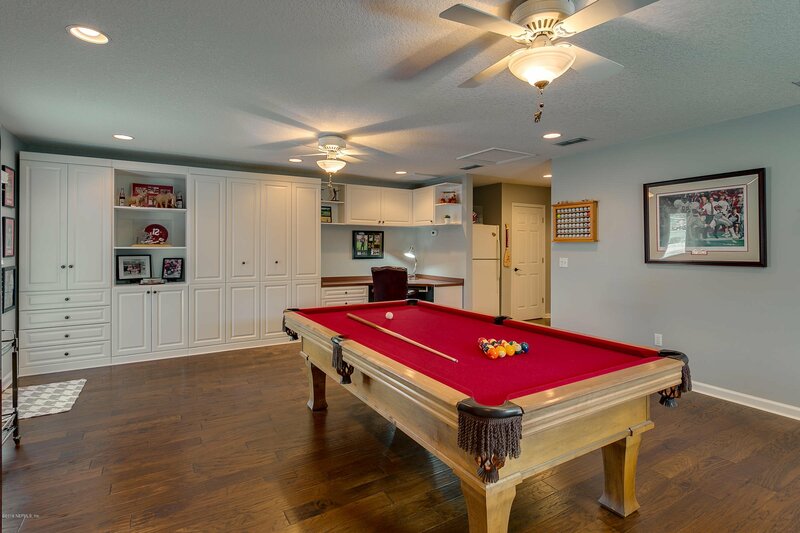 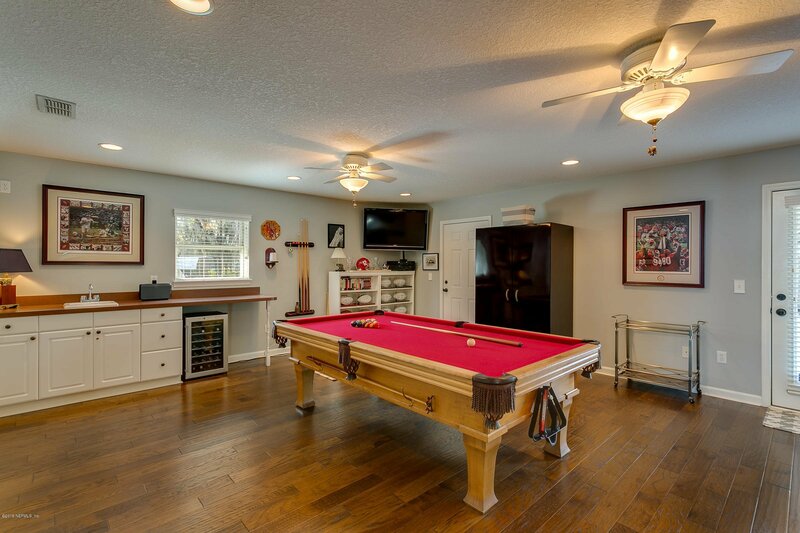 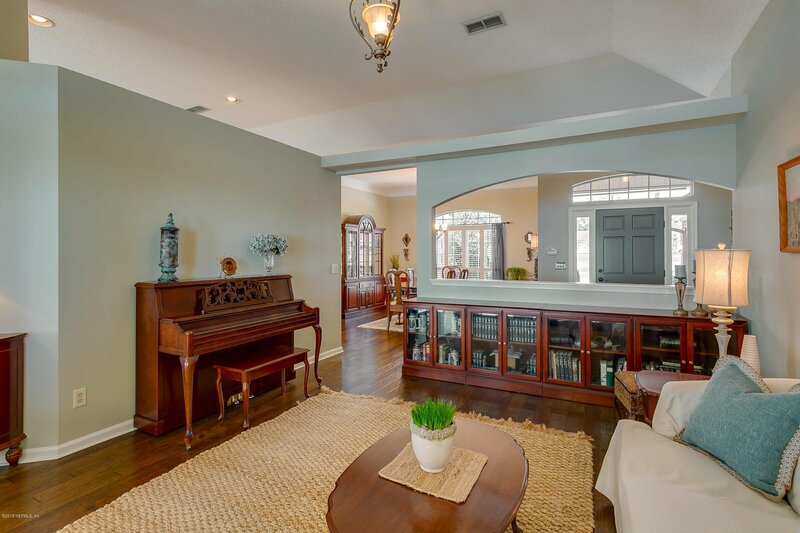 Huge bonus/ game room off the family room is complete with built-in bar, desk & murphy bed for guests. 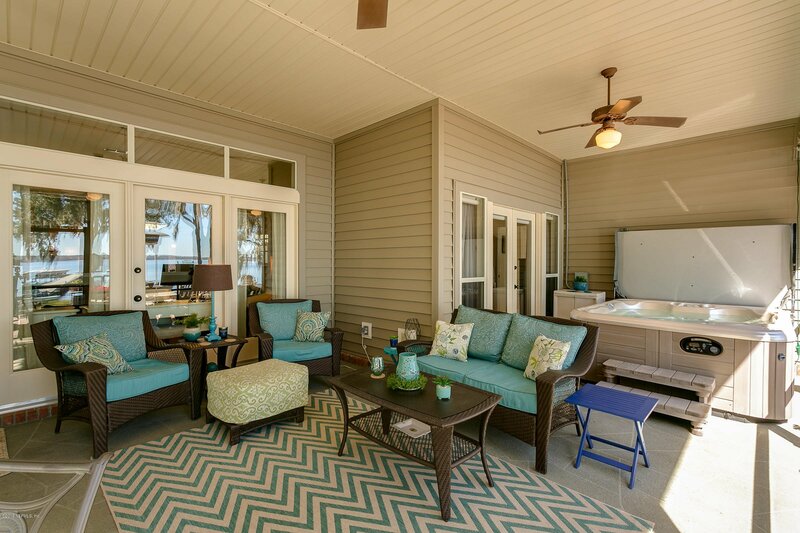 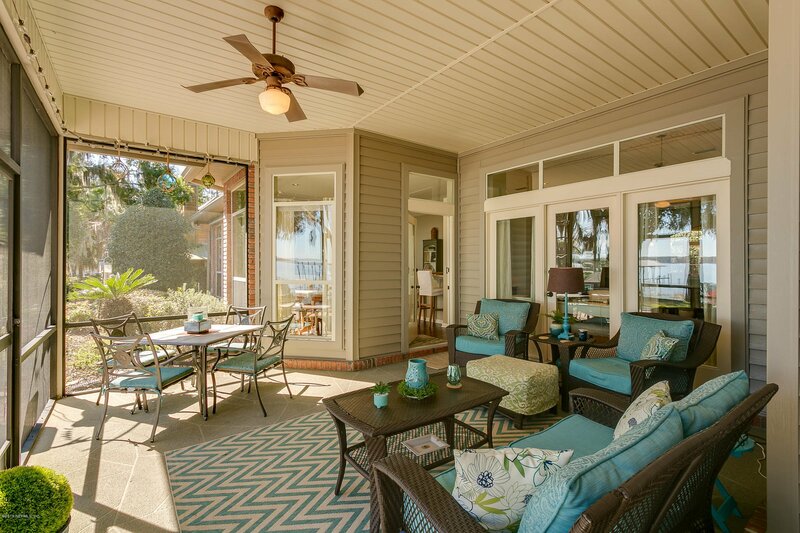 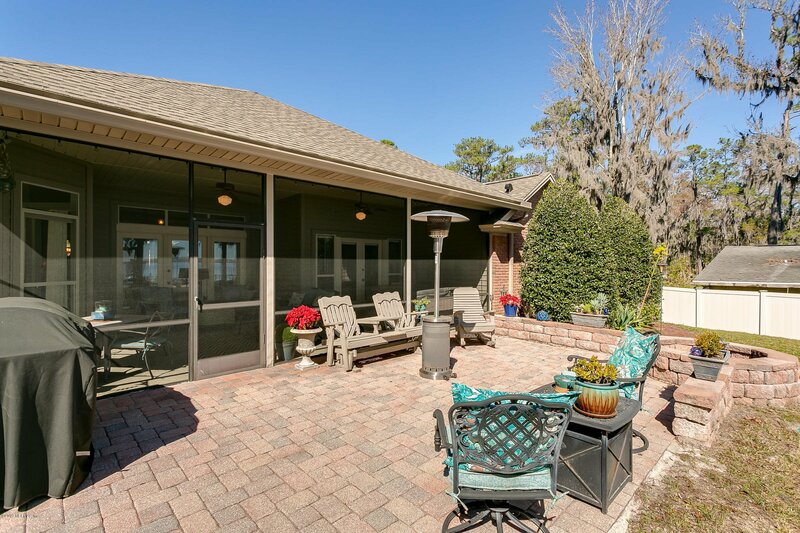 The screened lanai is where you'll want to spend your mornings drinking coffee. 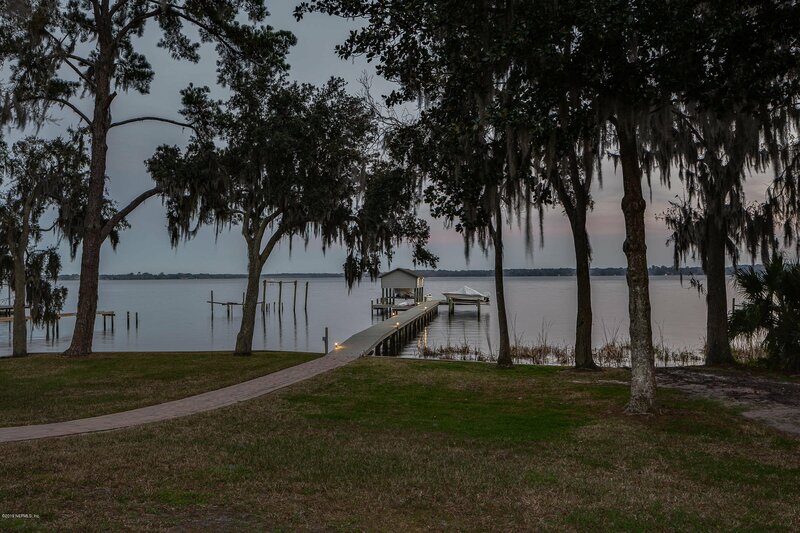 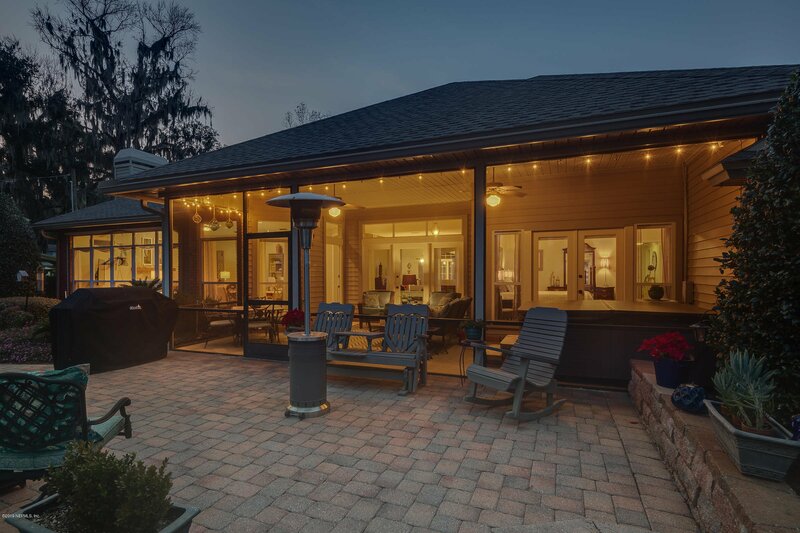 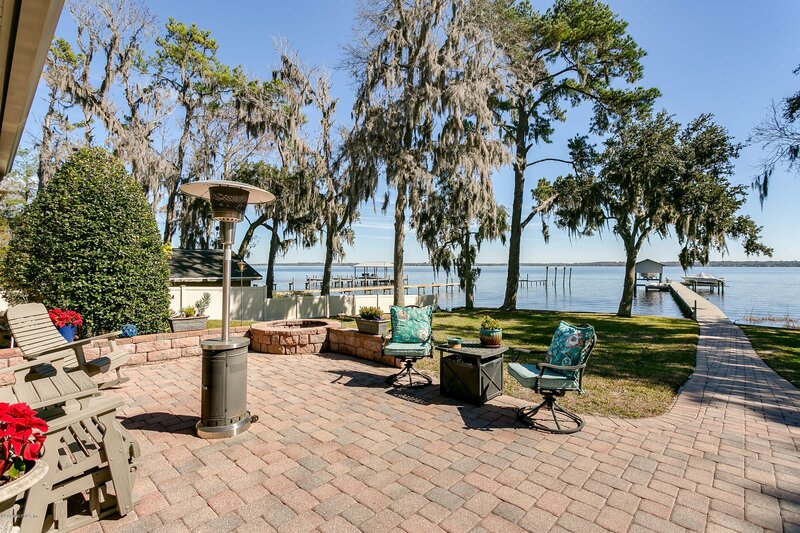 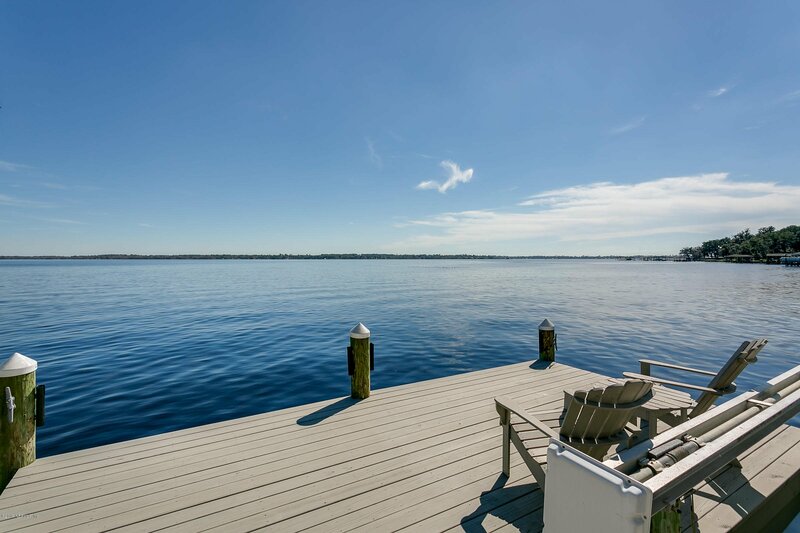 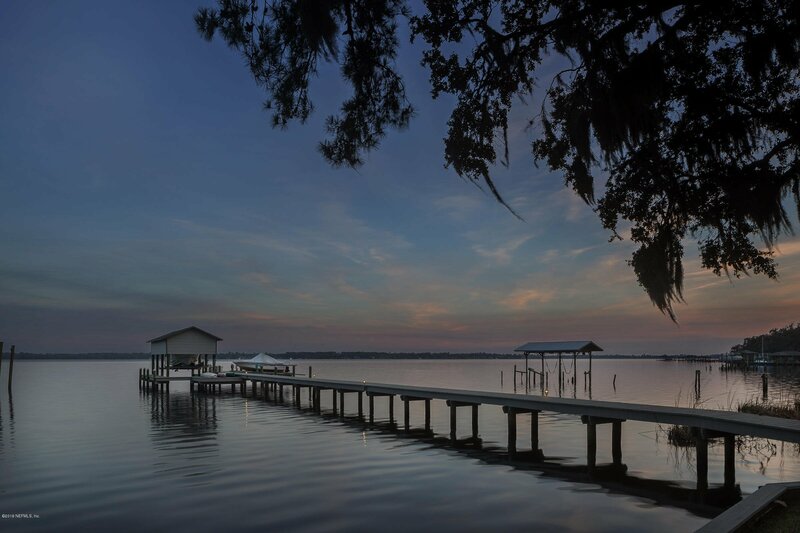 The pavered patio overlooking the water is the perfect place for evening bonfires, while the walkway down to the new dock (w/ lift) is inviting & functional. 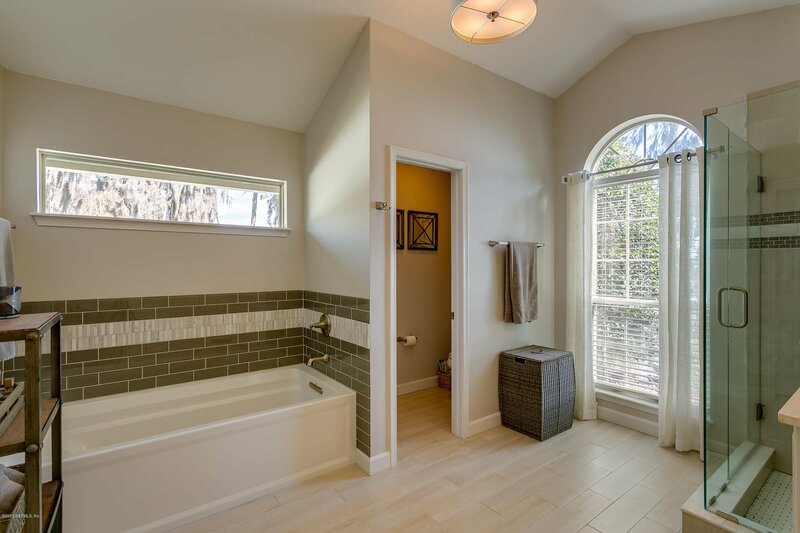 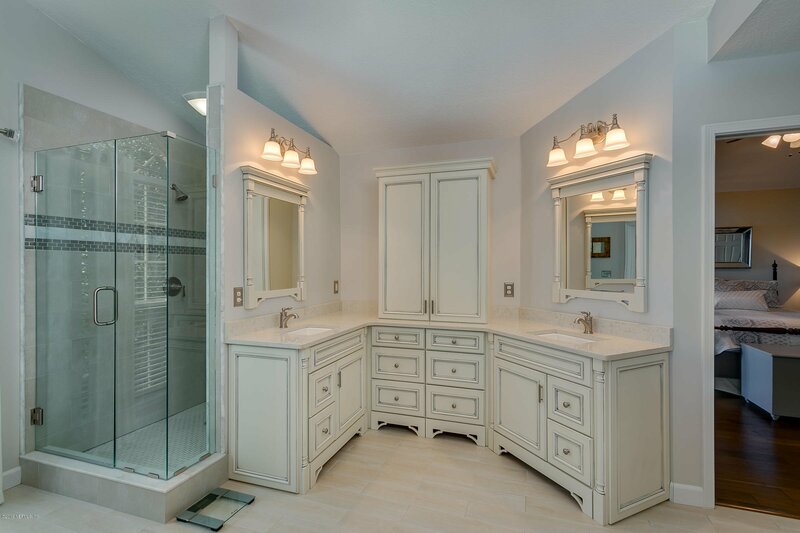 The owners suite is truly a retreat w/ spa-like.bath and private patio access. 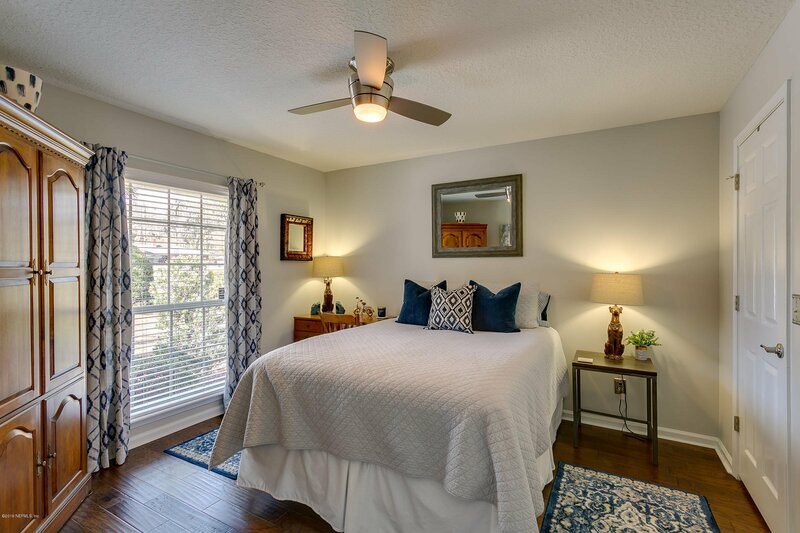 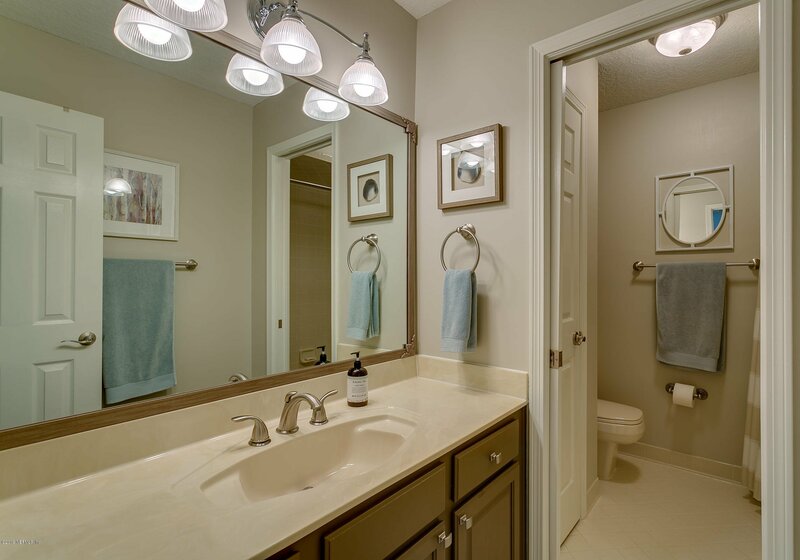 Three generous sized secondary rooms offer plenty of space & privacy for everyone. 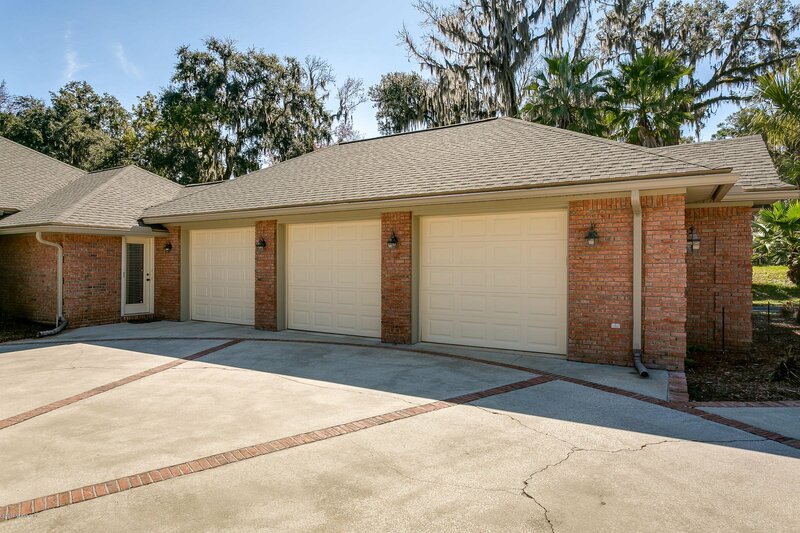 The extended 3-car garage is an added bonus. 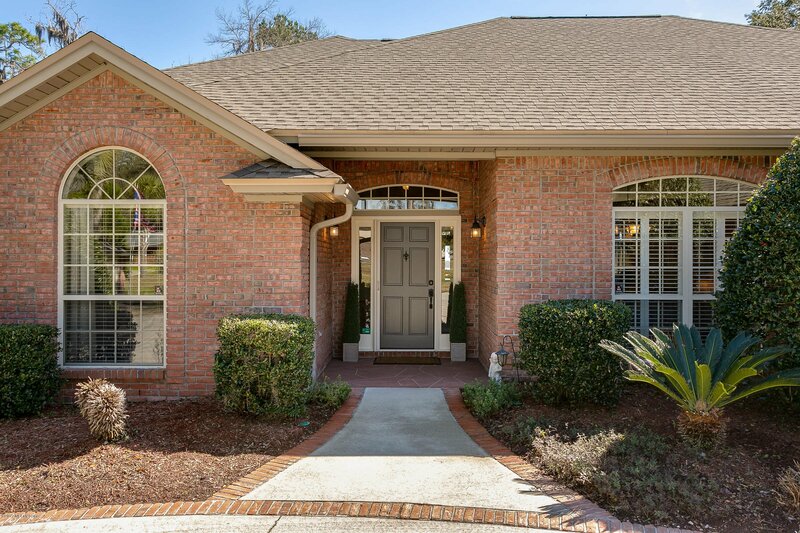 Come see this home for yourself & fall in love. 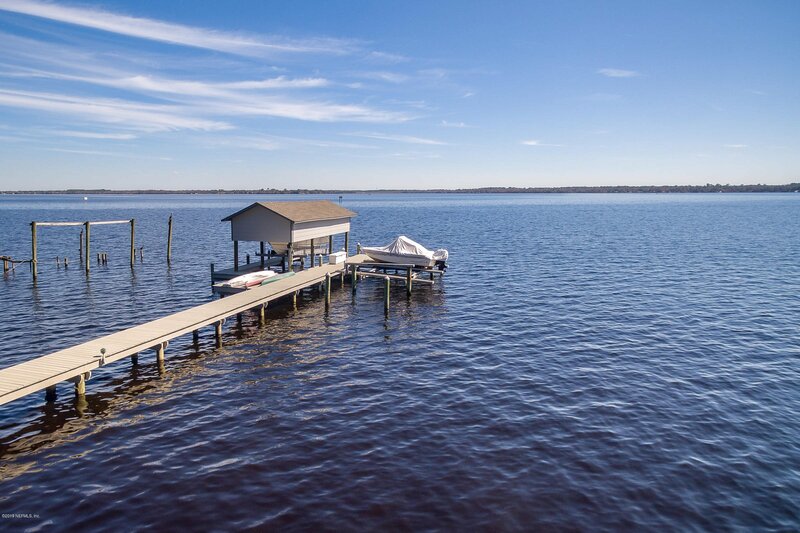 This is where the good life on the water begins.